This is a work of fiction. All concepts, characters and events portrayed in this book are used fictitiously and any resemblance to real people or events is purely coincidental. Copyright © 2016 by Loren K. Jones. 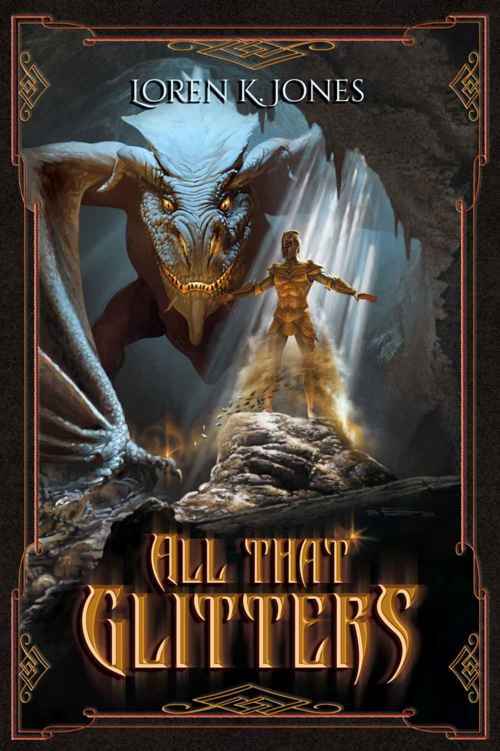 Expanded and revised from a previous electronic edition published by e-Quill Publishing, Brisbane, Australia 2010 with title "All that Glitters." All rights reserved. No part of this book may be reproduced, stored in a retrieval system or transmitted in any form by any means electronic, mechanical, photocopying, recording or otherwise, except brief extracts for the purpose of review, without the permission of the publisher and copyright owner. Revised Electronic Edition: July 2016. Author's preferred version. and the adventures we have shared since 1983.
steep slope of the crater's side, through deep snow and line after line of thicket, trying to get to the cave located on the crater's highest peak. He paused and scraped the top layer of snow off a drift in search of some clean snow to quench his thirst. He had started with a full water bottle and enough food for five days, but the climb had been harder than he expected and his water had run out after just three days. His food would last only one more day, but that didn't matter. He was determined to succeed, or die trying. Wild, unreasoning fear grabbed Stavin's heart and squeezed. He gasped for breath as his knees shook uncontrollably. His bladder and bowels threatened to let loose and shame him. Yet, for all his fear, he didn't run. He couldn't. I'd rather die than go back without proof that I really went into the cave. Gathering his breath, he shouted, "I won't run! I won't!" he screamed. "I won't let you frighten me away!" Suddenly the fear was gone, and Stavin fell to his knees in relief, gasping for breath. "Gold! As much as I can carry," Stavin shouted into the darkness. That'll show 'em. That'll prove how brave I am. "But no one else believes," Stavin whispered. "None of them believed enough to come and see if I'd even enter the cave. Not one of them. Not even—you wouldn't understand."